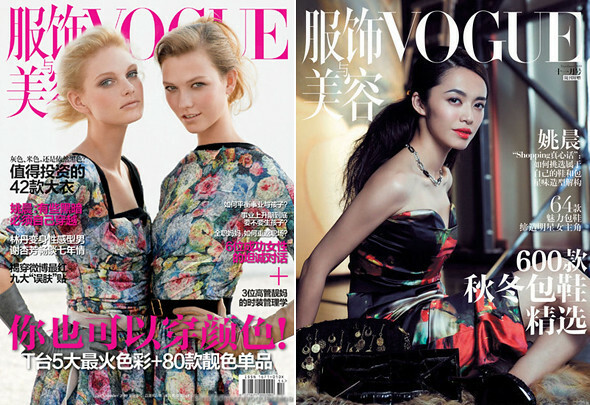 In November's issue of Vogue China, Patricia van der Vliet and Karlie Kloss were photographed by Max Vadukul while dressed in Louis Vuitton Fall 2010 collection for the cover. Actress Yao Chen (姚晨) models for Vogue China's Fashion & Beauty supplement cover dressed in Dolce & Gabbana. Thank You! I wrote November in the post but October in the title. Thanks for pointing out again!